My petites love to garden and here in the Pacific Northwest we get a little rainy and gardening for our family often doesn’t extend into the winter months. Until now, I was poking around on Pinterest the other night and saw this, first of all could this little petite be any cuter? No, I don’t think so. Check out Katie’s blog here, this is the tutorial for the garden box. I am in love and digging through my felt to see what I already have to make this adorable play garden. I haven’t tried the tutorial yet, but just looking at all the details provided I am thinking I am in good hands. What a fantastic idea to tide petite gardeners through the winter months. Since I am so fond of pairing toys with books I thought about some of our favorite books about gardening and one author comes to mind – Lois Ehlert. We absolutely love her books, the bright colors and abstractness of the images are fabulous. 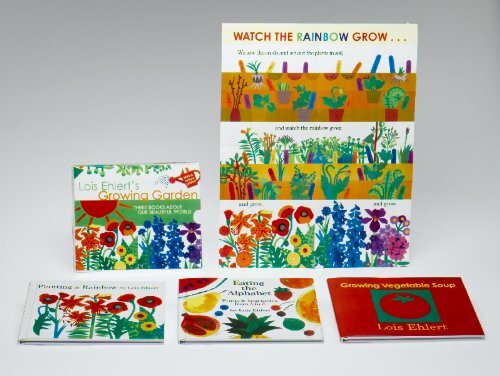 I was so excited when I realized that there is a boxed set of her gardening books – Lois Ehlert’s Growing Garden. 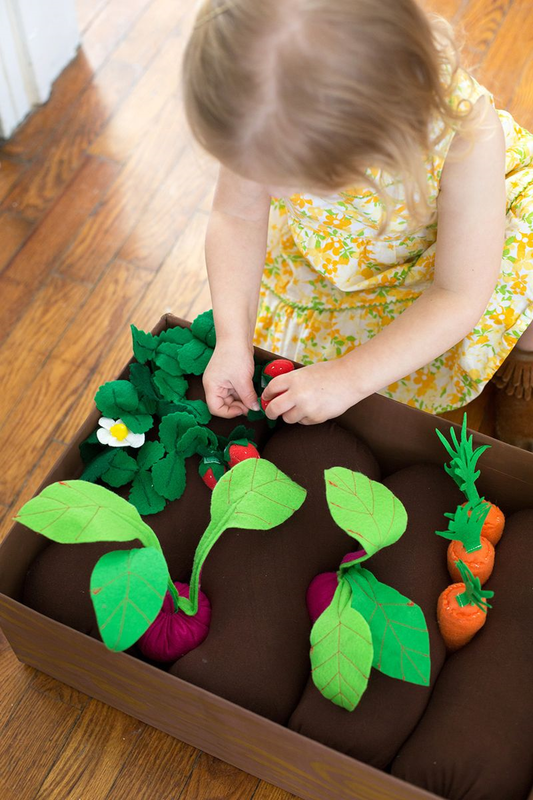 The set includes Planting a Rainbow, Eating the Alphabet and Growing Vegetables Soup. These books are really fantastic for little ones who are learning words and colors as well as for older kiddos who are learning about planting, harvesting and cooking. These books coupled with the lovely garden box would be an amazing gift for an little one who loves to garden. That is super cute! Wish I would’ve made one like that when my boys were smaller. I’m hoping I will be able to make one as cute as this tutorial. Thanks for stopping by and reading my post.